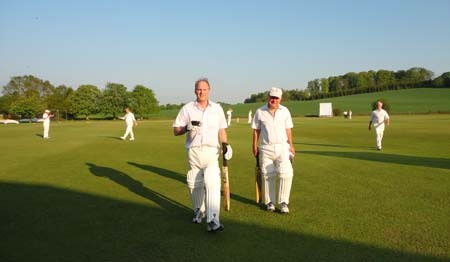 On a warm, sunny evening at Amersham Cricket Club, the Feltmakers’ Pairs Cricket Competition took place. 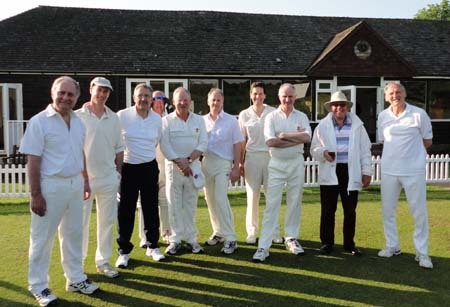 Whilst the players batted, bowled and competed on the field of play, Past Master Geoffrey Farr, as umpire, ensured that standards of fair play were maintained by all. 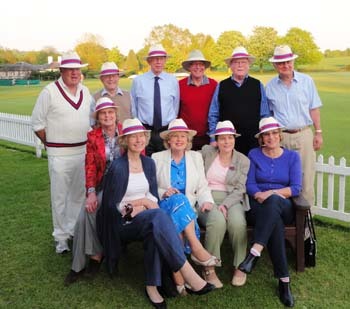 Meanwhile, the spectators were able to relax in the sunshine, with a glass in hand, and several sported the Feltmaker Diamond Jubilee hat, as designed by Past Master Derek Hilton. A most enjoyable buffet supper followed for all twenty six participants, at which prizes, kindly donated by the Master, were awarded. 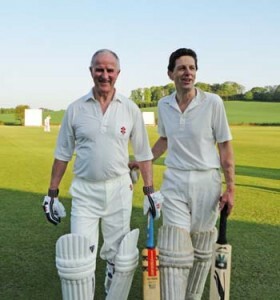 The winners of the Pairs Competition were two guests with 41 points, narrowly beating Past Master Geoffrey Vero and his partner by only one point in a very tense contest. The event was organised by Fourth Warden Peter Simeons, with the assistance of Liveryman Simon Curtis.